I remember being about 15 when my Mom read an article about broccoli’s anticancer powers. We were a pretty vegetable-y family already but she said, why aren’t we eating more broccoli? So we did. A lot, for a while. I remember feeling good that we found this out, and that it was awesome that we could actually prevent cancer by eating broccoli. Sometimes cancer still does feel random, awful and scary, but the empowerment I felt back then (by the broccoli) is something that still resonates with me today (obviously). 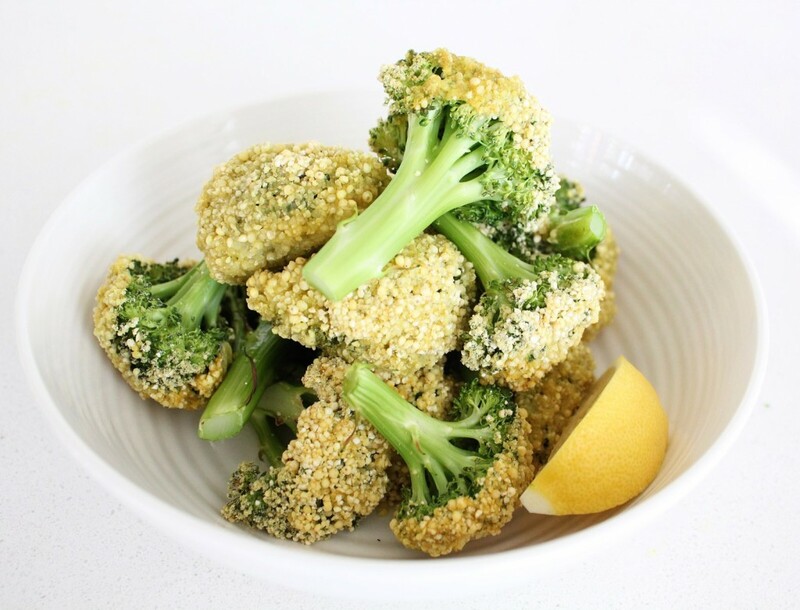 There are many other factors besides diet that come into play when it comes to cancer, some that are less in our control or harder to change than others, but broccoli is easy. And broccoli has cancer-crushing cousins that taste just as good. Back then, my favourite way of having it was steamed and then tossed with butter. 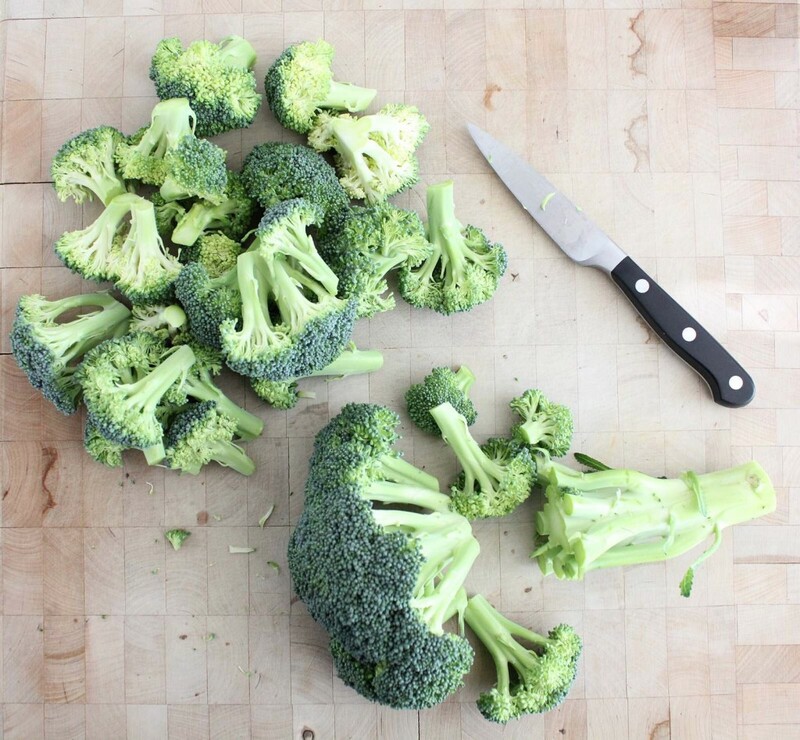 Broccoli doesn’t need a lot of help, it’s a delicious vegetable. These days I like steaming it with sliced garlic and then tossing it with a drizzle of fresh, good quality olive oil and a pinch of salt. 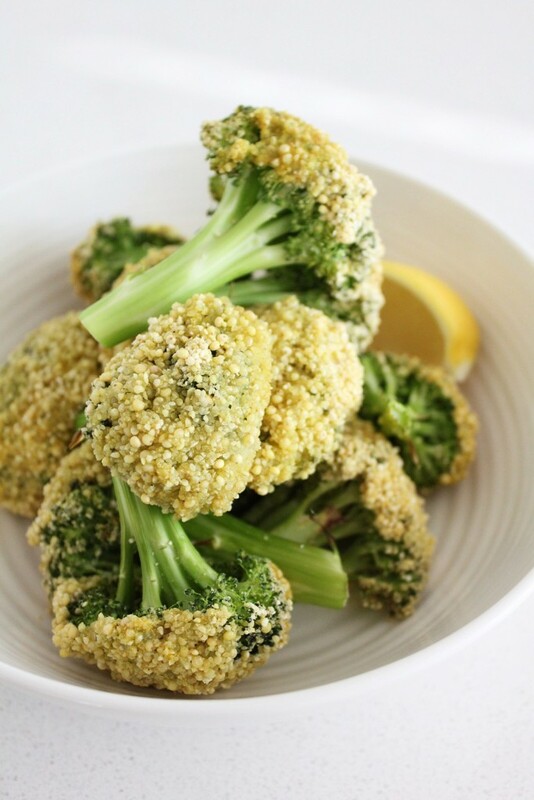 This broccoli recipe adds some texture, which I think is always welcome when it comes to cooked veggies. 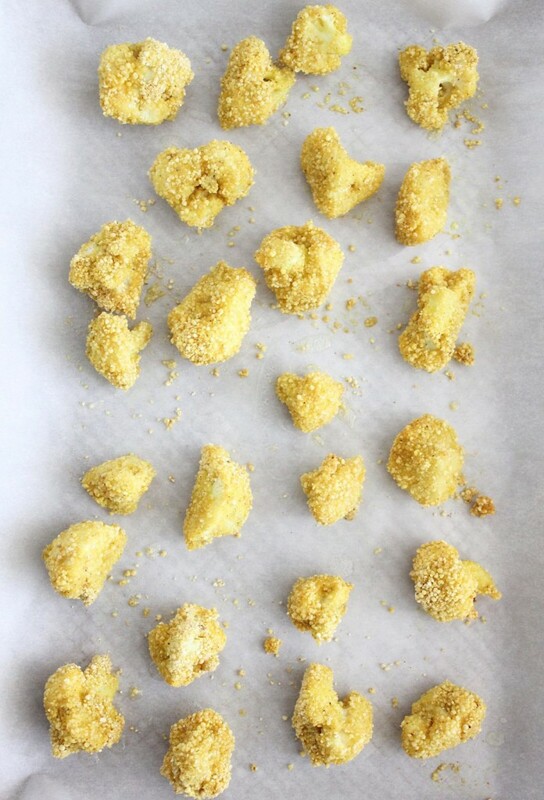 Millet, a gluten-free, alkaline grain is where the crispy comes from. You can either give it a quick grind in your blender to break it up, or soak it overnight and dry it out (in a dehydrator or low oven) before the blender step. The latter sounds more high-maintenance because it is, but it’s really just more time consuming. It’s worth it for your digestive health, but not a game-changer.Keep any extra, unused ‘millet crumbs’ in a jar in your fridge for next time. 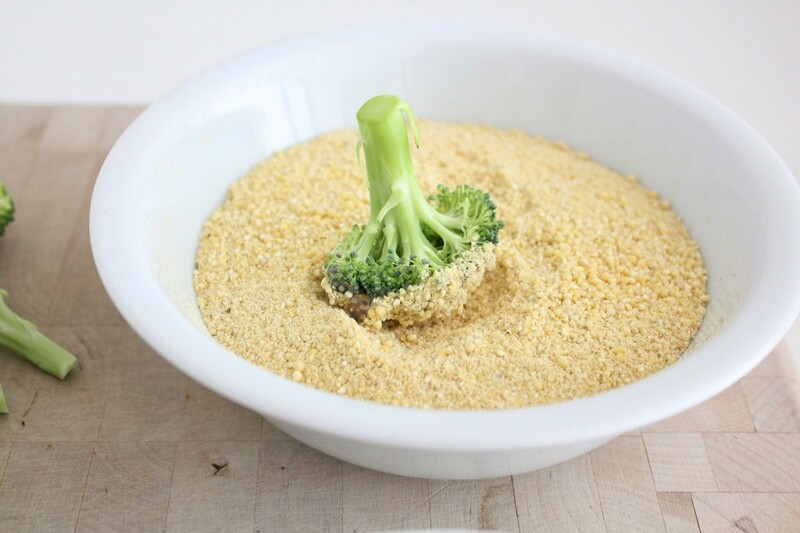 I have used soaked chia seeds as the ‘egg wash’ or the glue that sticks the millet (mixed with other tasty stuff) onto the broccoli florets. For bigger florets, I dip the heads into the chia mixture and then the millet and for smaller pieces I just toss the whole things in the chia and then the millet. The little bit of coconut oil drizzled over the top before roasting, allows for that really crispy texture to come through. 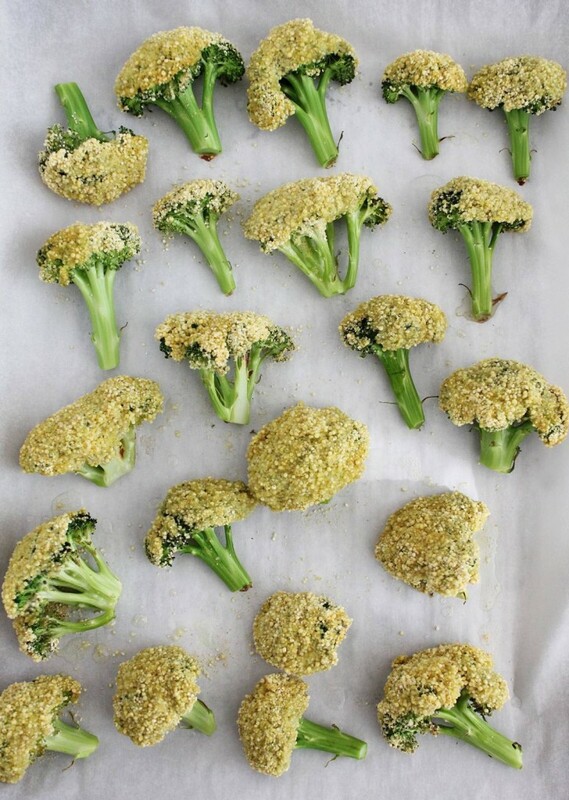 I find this recipe works equally well with broccoli and cauliflower. Both are from the cruciferous family and contain the cancer-fighting, immune-boosting glucosinolates -indole-3-carbinol and sulphurophane. Both taste great and improve with a bit of crispy millet. 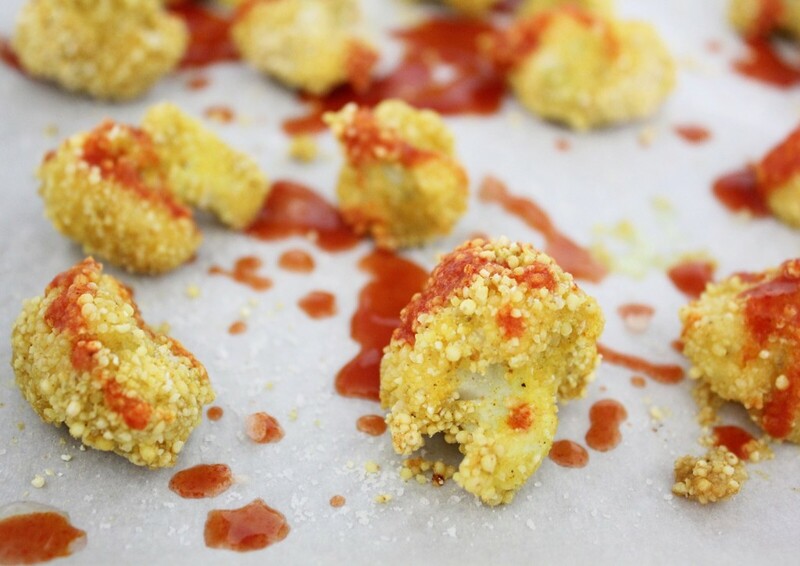 A bit of hot sauce at the end (make your own or make sure that the ingredients aren’t more extensive than hot peppers, vinegar & salt) puts these right onto the buffalo cauliflower train. The perfect (kombucha-based) happy hour treat to bring back nostalgic memories of your high school self, bussing tables during ‘wing Wednesday’ at Earl’s (after a pre-shift dinner involving steamed broccoli). You can also just squeeze some lemon juice on them when they come out of the oven, that tastes really good too. If I have inspired some broccoli cravings but you have decided to take the soaking/dehydrating millet route, make this broccoli Caesar salad in the mean time. It’s absolutely delicious. 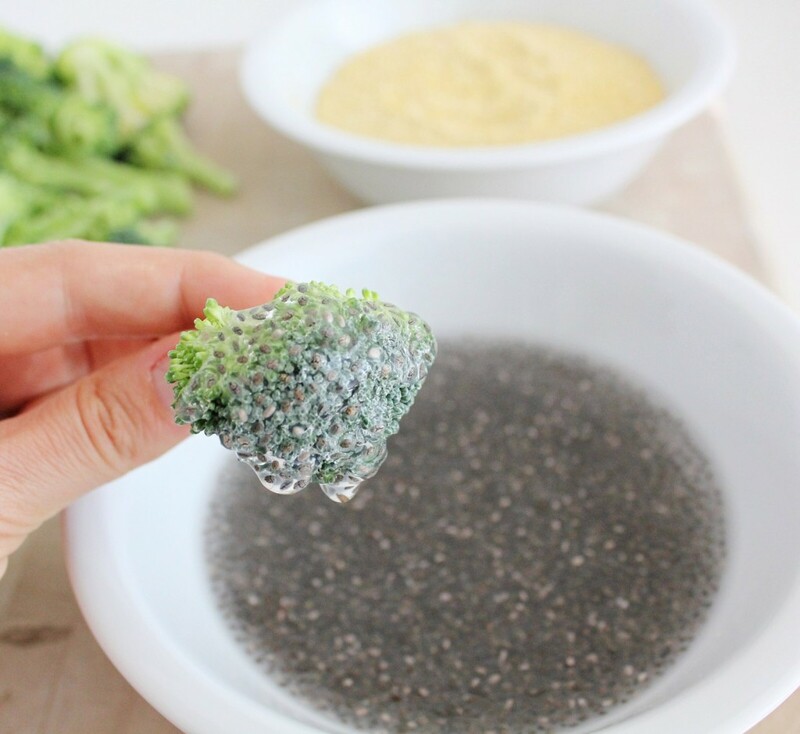 Mix the chia and water together in a bowl and let sit for 15-20 minutes until it gels up. 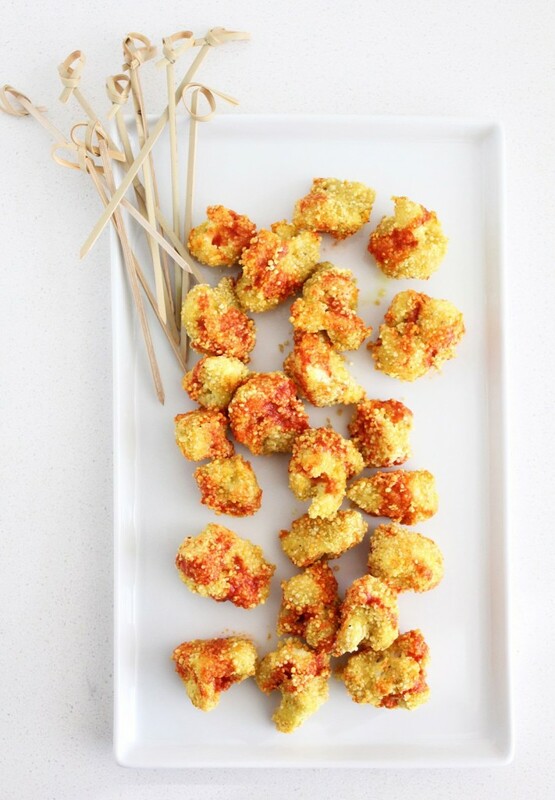 Cut the broccoli and/or cauliflower into florets or smaller popcorn-style pieces. Dip the larger florets in the chia mixture and then the millet mixture and then place on the parchment-lined baking sheet. 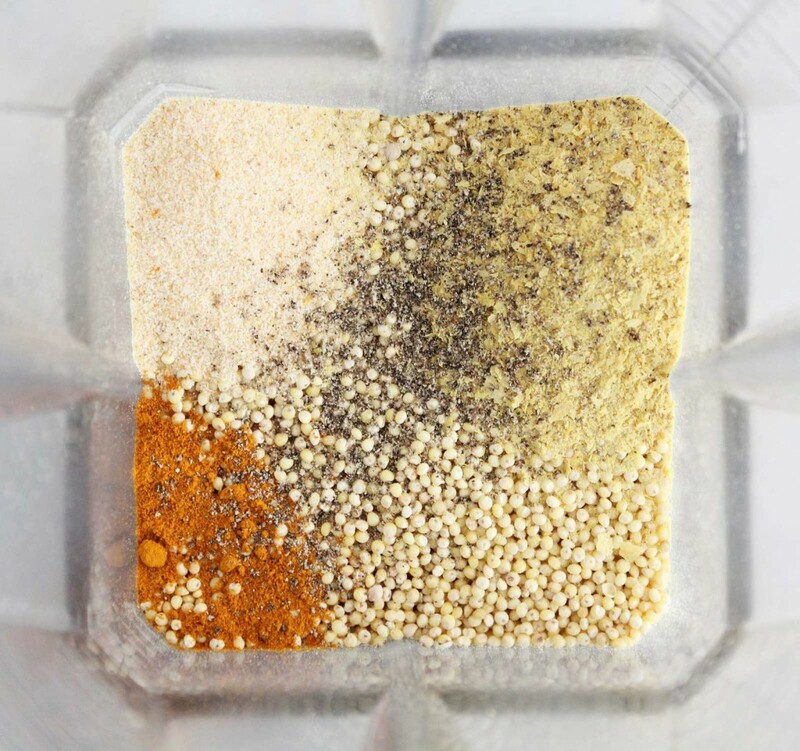 If you're doing smaller pieces, toss them in the chia egg and then the millet. Drizzle with melted coconut oil. Bake for 10-15 minutes or so (depending on the size of your florets). Squeeze lemon juice on top or drizzle with your favourite clean hot sauce.